We offer this class in one session at the shop from 9am to 3pm. This class is designed for those who primarily fish streamers for trout in lakes and streams. It will include working with marabou, wool, deer hair, and more to create large enticing patterns. We will introduce patterns that will include various techniques designed to improve the overall skill and confidence of the tier. Patterns may include articulated leeches, woolhead sculpins, lake baitfish patterns, and lemmings/mice. 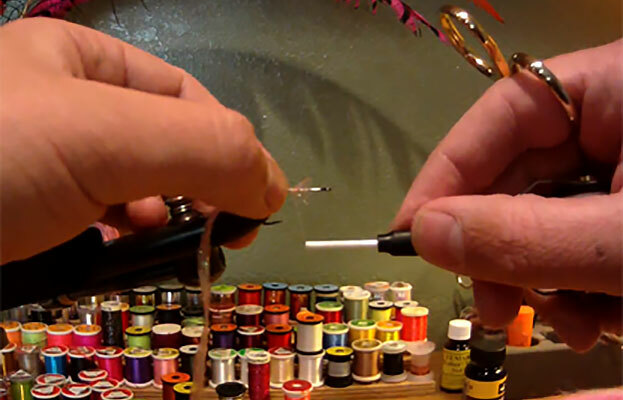 If you are ready to increase your tying skills, are not a beginner anymore, and do not wish to tie small dry flies, then this class is for you! You will come away with new tying skills that will allow you to tie an increased variety of effective patterns. Materials (except fly tying thread) will be provided, while the participants are expected to provide their own tools and vise.